Chances are if you come to Korea for work or travel (and are 18+ ㅋㅋ), you will be invited to go out and drink with your coworkers or friends. When you go out with your coworkers, it is called a “회식” and you eat, talk, and drink with each other. Now if you don’t drink, don’t be afraid to refrain from drinking and just tell them the reason why. Aside from the older generation, most people will have no problem. 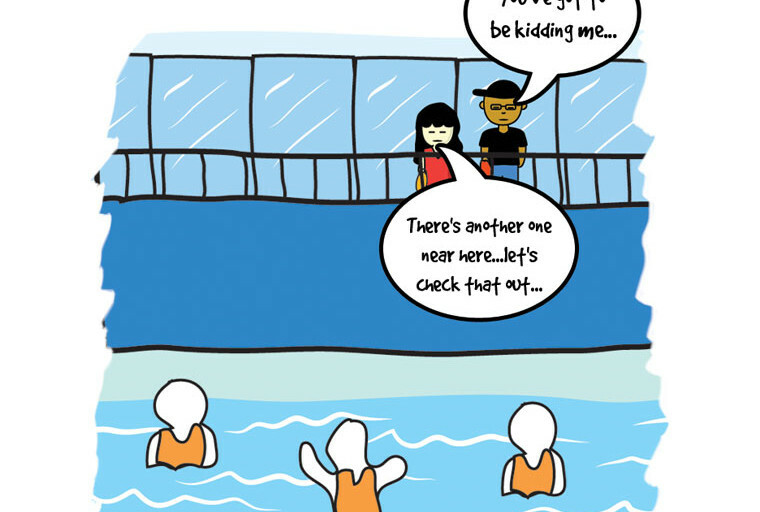 Knowing how to say cheers or make a toast would be very helpful in these situations. A lot of your friends/coworkers might be impressed that you know how to say it perfectly and in the right context. 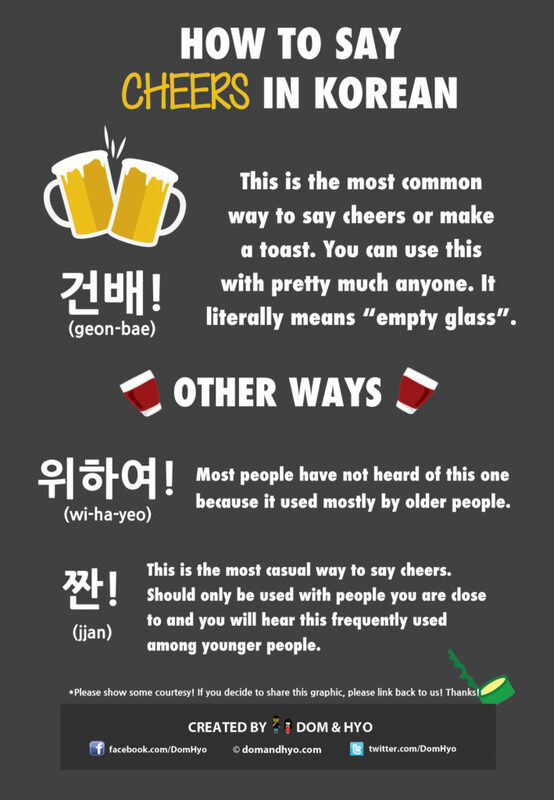 This is the most common way to say cheers or make a toast. You can use this with pretty much anyone. It literally means “empty glass”. You will use and hear this one the most often when you go out and drink. Most people have not heard of this one because it used mostly by older people. Hyo told me that she rarely hears this from younger people and you might sound weird or out of place if you use it. This is the most casual way to say cheers and is more of a kind of slang. Should only be used with people you are close to and you will hear this frequently used among younger people.